at the Crypt, St Margaret's Church, Lee Terrace - entrance from Brandram Road. Parking in the forecourt or the other side of Brandram Road. Buses 108, 54 and 89 stop outside. Blackheath and Lewisham stations are each less than 10 minutes away on foot. Book online at www.in-words.co.uk, or by email at irena.mh50@gmail.com or buy tickets on the door. 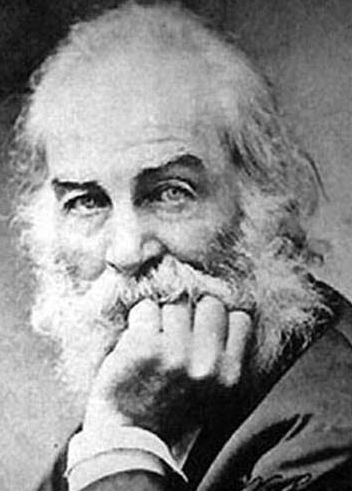 Whitman wrote his deeply moving ‘When Lilacs Last In The Dooryard Bloom’ within days of both President Lincoln’s assassination in 1865 and the end of the American Civil War. His collection of that year, Leaves of Grass, revolutionised what American poets could say (what they felt it was like to be alive), how poetry could look on the page (rhapsodic and free), and how it could sound in the reading ear (orchestral, psalmic and incantatory).